Tech Blog with latest tech news CopyShould High Quality Free HTML5 And CSS3 Web Templates Tech Blog with latest tech news CopyShould!! Graphics designing is the most important part of any online business and to be very frank, it’s not that much easy to create some stunning web sites without having expertise in some particular fields. There are lots of websites who only suffer their business online due to poorly designed sites. Its only the website design which helps your real customers or visitors to understand about your products and if you are failing to make them understand what are you trying to sell them they will instantly leave your website without wasting a single second. All you need to have a proper design and layout to convince your customers that they are at the right place. To get out of this situation the only solution is to hire someone who is having excellent skill in designing responsive websites. Many web designers use different computer languages to build websites but the most commonly used language is HTML and CSS. HTML5 and CSS3 is the latest version which is commonly used by many web designers to create some stunning designs. Sometimes hiring a professional web designer is not possible for small business owners due to low-budget, and to deal out with this situation there are web templates available on the web. These HTML5 and CSS3 web templates are the perfect solutions of those small business owners to build responsive web sites at no cost. 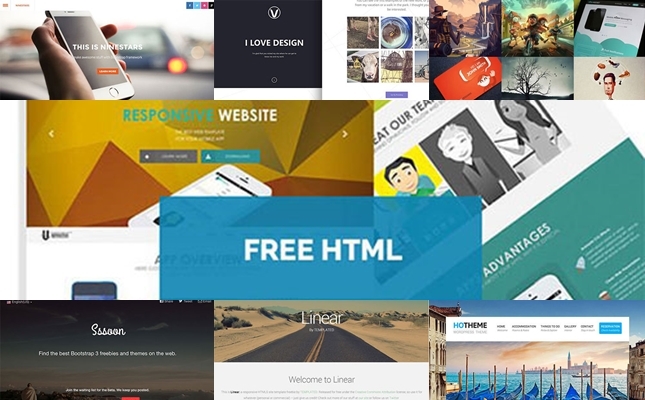 HTML5 and CSS3 web templates can be found easily anywhere on the web but we have carefully selected the best web templates to enhance your website look. So, Let’s check out these 50 high quality free HTML5 and CSS3 web templates and mind sharing it with your friends also.